These cushions are beautiful!. They are made from an exquisite early C20 Zhuang wedding blanket that was originally pink. 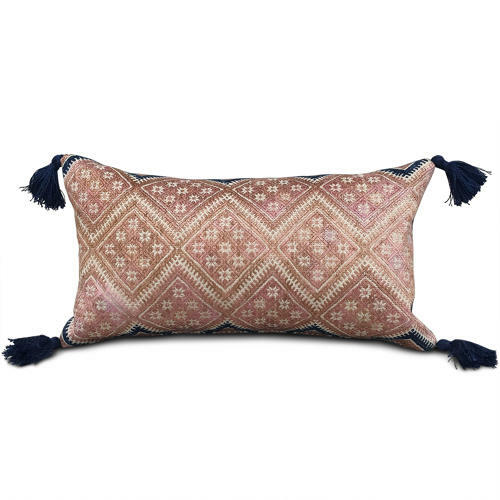 The vegetable dye has oxidised over the years to a beautiful pinky gold colour, with a dark blue geometric design. The back textile is a vintage Buyi homespun and there are tassels in the corners made from dark blue cotlin. There are zip fasteners and feather pads.